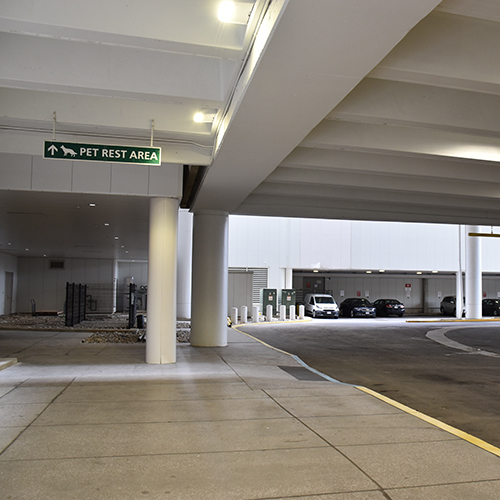 Before entering the airport terminal, your pet might appreciate visiting the pet relief area located outside baggage claim. While in the terminal, please carry or confine non-service animals. Service animal owners may seek out an airline gate agent for pet relief assistance beyond security before boarding a flight.